Has your Case Excavator not been performing to its best standards? This may be because they are regularly working on rougher surfaces, where more friction means more wear. If you have noticed your rubber pads are starting to become damaged and losing grip when working on sealed on or unsealed surfaces, its time for new rubber pads! New rubber pads will enhance the performance of your Case Excavator allowing it to have a smoother running life with less vibration and damage while meeting the demands of durability that every operator needs. Replacing the rubber pads on your Case Excavator is also an important part of any on-site safety regime, as worn out pads could be putting your operator and machinery at risk. Replacing your old rubber pads for new ones also allows for an easy adaptation from working on rough terrain to paved or easily damaged surfaces while minimizing surface damage and avoiding expensive repairs. 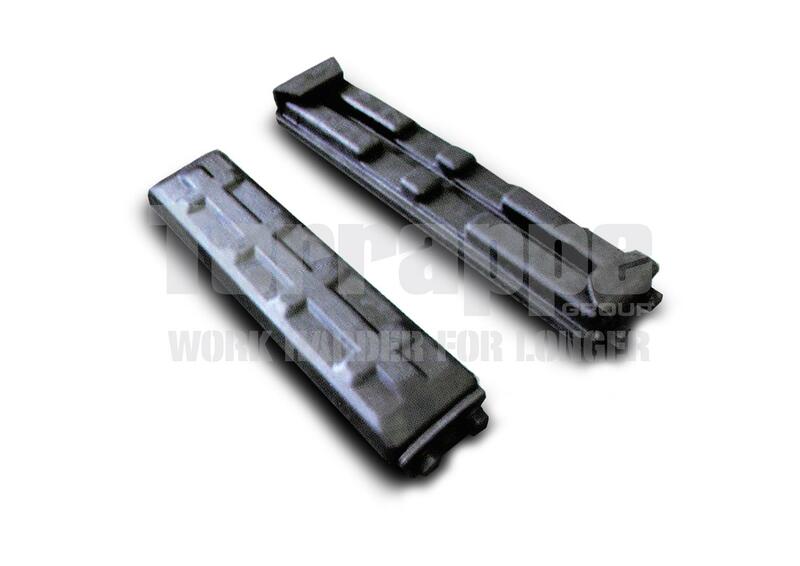 Take a look at our range of replacement rubber pads below and order online, or give us a call should you have any issues finding the brand-matched rubber track pads you're looking for. Remember, we offer prompt dispatch and shipping anywhere in Australia, for your convenience.